This past Saturday I (i) helped a friend move some household items near Austin, TX and (ii) tried as hard as I could to destroy the transmission in my truck while towing an overloaded trailer full of rocks and scorpions back to Houston. How we encountered more uphills than downhills on the way back is beyond me but the 182,000 miles-old truck showed its age a few times. 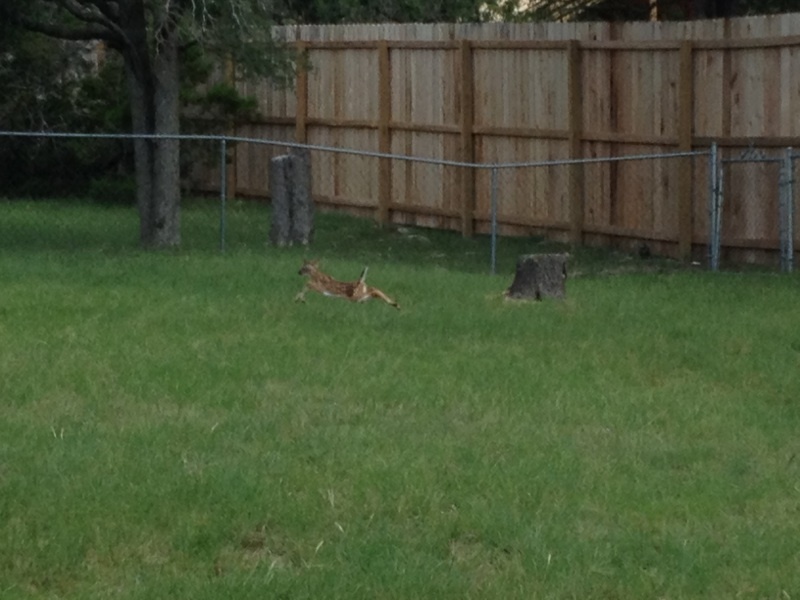 Upon arrival at the Austin-area house, one of the kids announced "there is a baby deer in the back yard". Assuming a bad joke, there was, in fact, a fawn in the back yard. The yard was surrounded by a chain link fence and the little fawn had, somehow, found a small crack or opening through the fence. 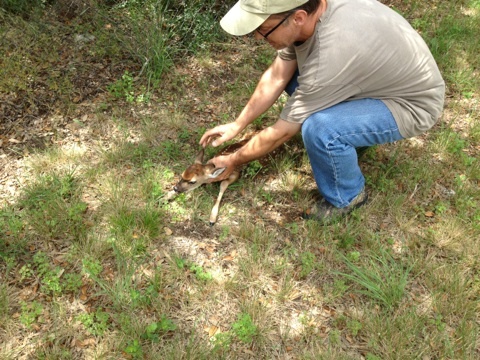 We went out to investigate only to discover the fawn was strung out on crack and would not listen to any sort of reason. We tried to get it to calm down while opening the back gate so it could get out. 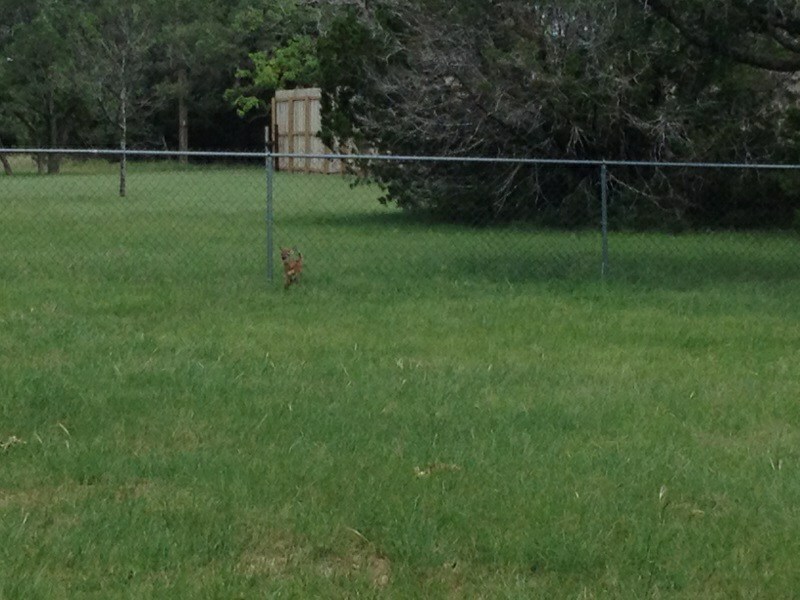 It proceeded to run, full tilt, into the chain link fence at least a dozen times. It was obviously confused and looking for a gap or hole to get through. Unfortunately, to a less-than-a-week old fawn, fence posts and corners look like gaps and it proceeded to careen off a fence post and get its face literally jammed between the fencing and post where it proceeded to bawl uncontrollably. I should have grabbed it then and there. After several near misses of it actually running out of the yard on its own, we grew more and more concerned it was going to break its neck, a leg or jaw if this kept up much more. I slowly cornered it and using my hat to both block its vision and partially knock it out due to head-sweat stench, I was able to get my hands on its neck and place it outside the gate. It was panting heavily but after a few seconds, bolted off, hopefully to hide until mom came along to take it to some place less troublesome. Before I get hate-mail, YES, I know you are not supposed to touch baby animals or intervene but we figured a little bit of human scent is better than a broken neck. Me, finally getting my hands on the little bugger! 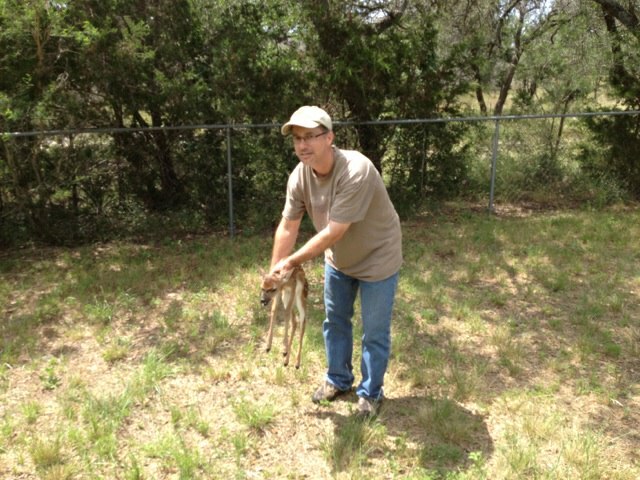 Me, afraid I'd have my gonads kicked off if I did not hold the fawn away from my body.